Sonata ring has lyrical lines & the feeling the romance. 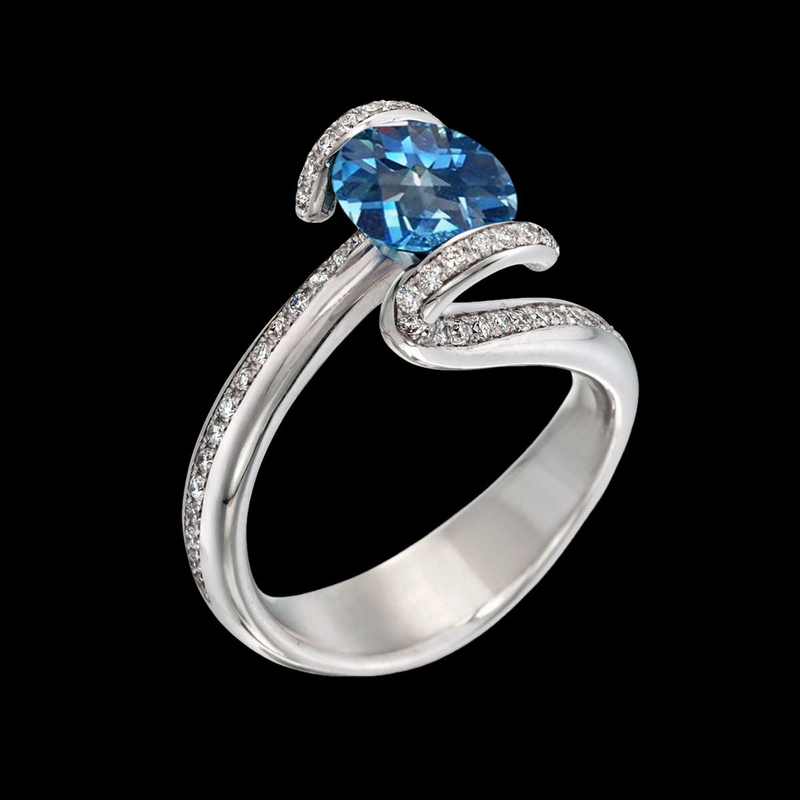 This unique engagement ring features a 2.50 carat, tension-set blue topaz center stone accented by .30 carats total weight of diamonds pavé set in white gold. To purchase, call (949) 715-0953 or use our contact form below.